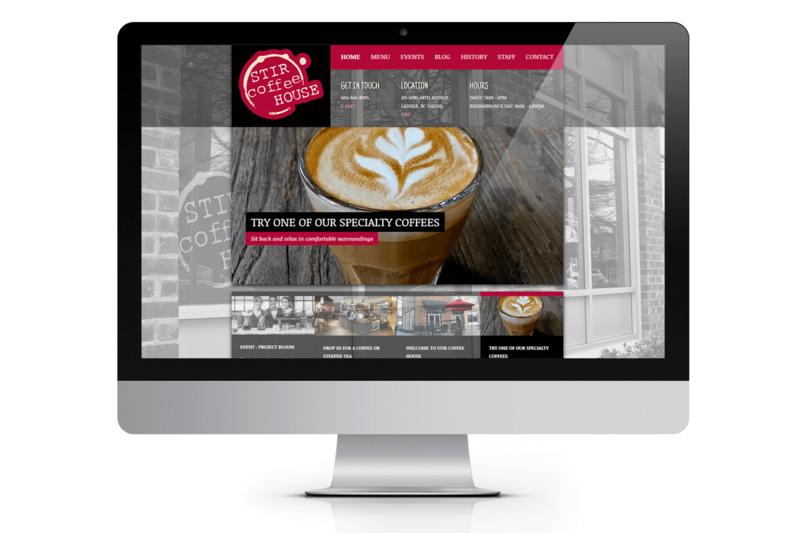 Stir Coffee | NetClimber Web Design Inc.
Stir Coffee House needed a brand new website to showcase their offerings as well as give them a presence online (and in local search!). 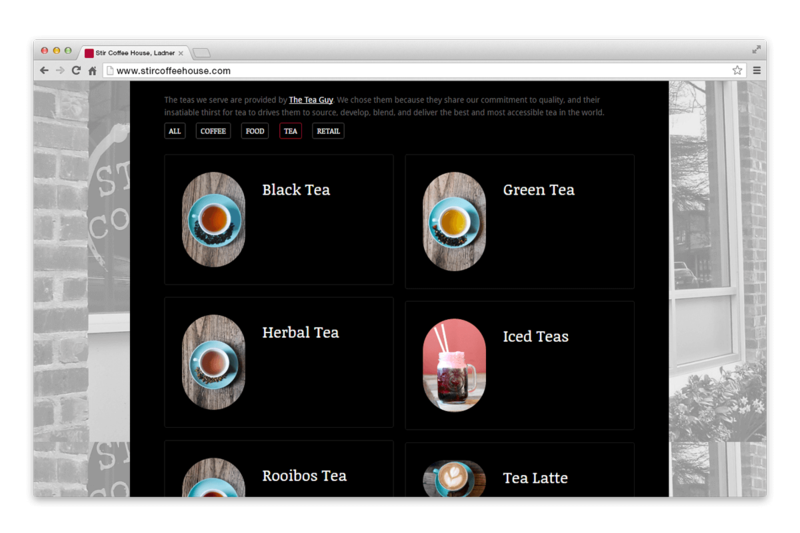 This WordPress website is fully responsive and allows Stir to showcase their amazing staff, their delicious Coffee, Tea, Treats, & Sandwiches, as well as their location. 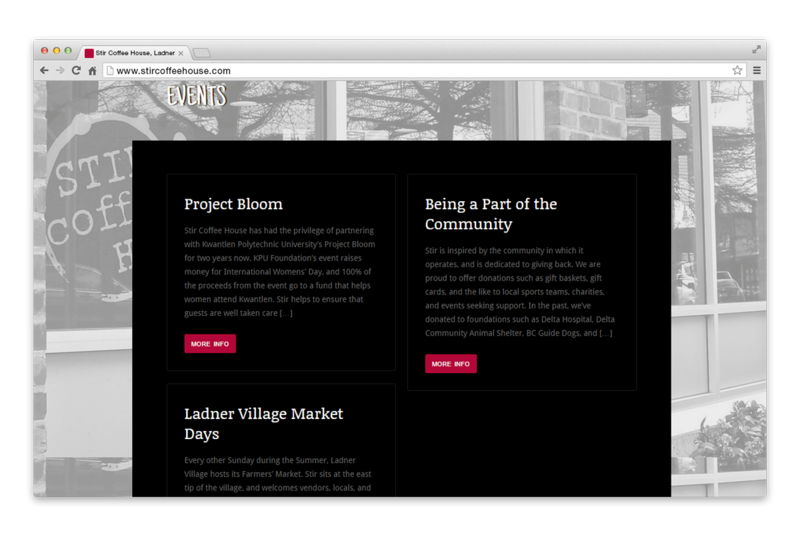 For a small local business such as this having a well-defined internet presence is vital for showing up in Google Maps and giving people the information they need to not only find you but also learn who you are. 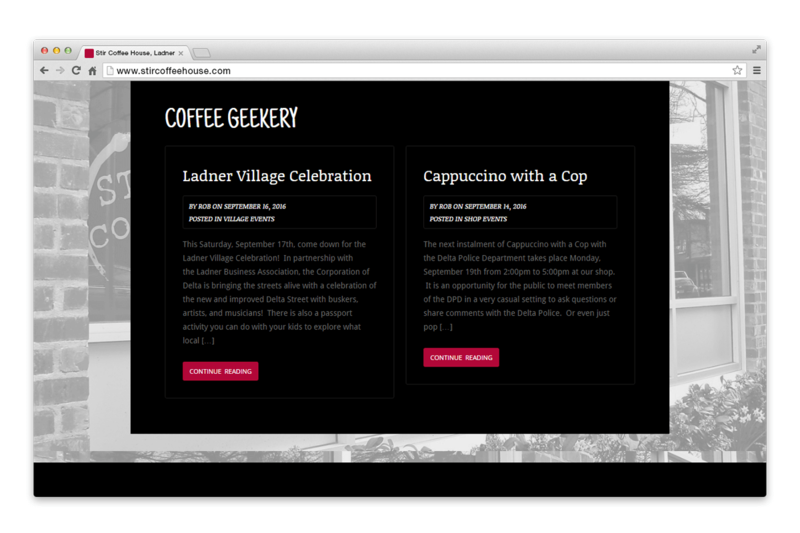 Check out Stir Coffee today and make sure to pop in for the best coffee in Ladner!